(Wizards Hat) – Collect the three gold goblets and place them on the bar to get a Wizards Hat. (Red Brick Detector Red Brick) – (Free Play Mode) Switch your character to a ‘Strength’ character (e.g. Hagrid) and press and hold the A button to open the door to the right of the pet tunnel to find the Red Brick Detector Red Brick. Switch to Hermione’s character and select the ‘Pet’ ability. Use the Y button to catch four the rats around the room. Use the ‘Wingardium Leviosa (WL)’ spell on the piece of pipe to complete the pipe and use the pet to go up it. At the top there is a brown pad, stand on the pad with the pet to reveal a red ‘Diffindo’ wall. Switch back to your character and use the ‘Diffindo’ spell on the wall to produce a pile of Lego bricks. Use the ‘WL’ spell on the bricks to create a set of stairs. Make your way up the stairs and use the ‘Reducto’ spell on the padlock to find the Quibber Dispenser and collect a pair of specrespecs. To the right you’ll see you can now interact with the yellow Lego bricks, use the ‘WL’ spell on the bricks to create a picture frame with pieces of the picture missing. Use the ‘Lumos’ spell on the Devils Snare and put the picture piece on the frame. Destroy the bricks on the floor to leave two more picture pieces and place these on in the frame. Now swap the pieces around to produce a picture of a character in a bath. (Free Play Mode) Switch to a ‘Strength’ character (e.g. Hagrid) and press and hold the A button to open the door to the far right of the balcony. Head through the door to find a secret room. (Katie Bell Character) – (Free Play Mode) Switch to a character with ‘Key’ ability (e.g. Bogrod) and press the A button to open to the green safe at the top left of the room to gain the Katie Bell Character token. (Peeves Character) – (Free Play Mode) Switch your character to Dumbledore and use the ‘Deluminator’ ability to move the light to the right of the sofa to the unlit lamp above the ice filled fireplace to gain the Peeves Character Token. (The Grey Lady Character) – (Free Play Mode) Switch your character to Hermione and press the A button to use the Hermione Book cabinet to the left of the chest to gain a key. Use the key in the chest by pressing and holding the A button to gain The Grey Lady Character token. Head back to the balcony. Use the ‘WL’ spell on the yellow duck to give it to the character in the picture, he will give you a tap for the barrel by the stairs. Attach the tap to the barrel by pressing the A button next to the barrel; this will then pour a glass of butter beer for Professor Slughorn. 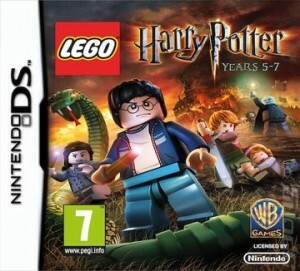 (Wizards Hat) – (Free Play Mode) Use the spectrespecs on the Lego bricks in front of the fire-place and use the ‘WL’ spell on the bricks to create an animal head. Use the ‘WL’ spell on the animal head to place it above the fire-place; this will open the gate to the fire-place. Use the ‘Aguamenti’ spell on to put the flames out; this will reveal a Wizards Hat. Collect the butter beer from the top of the stairs and give it to Professor Slughorn to continue to the next area. You’ll find yourself in Slughorn’s dinning room. (Wizards Hat) – (Free Play Mode) Go through the door way to the right of the dinning table, use the ‘Aguamenti’ spell on the four plant tubs to grow the flowers; this will give you a Wizards Hat. Make your way back inside. (Marcus Belby Character)- (Free Play Mode) Go over to the cabinet with the orange handles and switch to a strength character to open the cabinet. A key will come out of the cabinet, pick it up and put it in the key hole on the piano. Press the A button to turn the key, this will make the piano open up and start playing. The wizards in the picture frame above will start to dance and give you the Marcus Balby Character token. By the piano you’ll see a table, shoot it to get it to hit the sofa; this will give you a pile of Lego pieces. Use the ‘WL’ spell on the pieces to create a sink. Now make your way over to the dinning table and use the ‘WL’ spell on the broom to sweep the mess on the table into the waste disposal unit. Use the ‘WL’ spell on the plates on the table to put them into the sink. Now use the ‘WL’ spell on the sponge to clean the table. A blue exit platform will appear in the middle of the table, use it to continue to charms class. This is where you first learn the Aguamenti spell. First of all shoot the two moving books as they will try to kill you. Then to the right of the room, you’ll see a watering can. Use the ‘WL’ spell on the watering can to place it weight hook and use the ‘Aguamenti’ spell to fill up the watering can; this will open the gate on the fire-place. Use the ‘Aguamenti’ spell on the flames in the fire-place to get the first key for the chest, place the key in the chest. (Slythering Twin #1 Character) – To the left of the chest you’ll see a chair, jump on the chair and shoot in while standing on it. When the chair has grown you’ll see the character token, jump up to get the Slythering Twin #1 character token. Behind the chair are four green Lego pieces, use the ‘WL’ spell on the pieces to place them into the plant tube. Use the ‘Aguamenti’ spell on green plant storks to make them flower. Shoot the flowers to reveal another key, place the key in chest. To the top-left of the room you’ll see a tank with Lego bricks in it. Press the A button to fill up the tank and raise the Lego bricks. Use the bricks to get up to the platform above, at the top go towards the centre of the platform and you will see a container with loads of pipe coming from it. Use the ‘Aguamenti’ spell to fill up the container by pressing and holding the A button twice. Use the ‘WL’ spell on the pipe regulator to release the water into the hose pipe to let the wizard in the picture frame put out the fire. The wizard will give you a chest, shoot the chest to get the third and final key, put this into the chest. A blue exit platform will appear in the middle of the room. (Wizards Hat) – (Free Play Mode) Switch to Dumbledore and use the ‘Deluminator’ ability on the lamp behind the chest by pressing and holding the Y button, target the lamp to get the light. Make your way up the Lego steps to the platform and go to the far right. Press and hold the Y button again and target the lamp by the Devils Snare to release the statue’s head. Use the ‘WL’ spell on the statue’s head to place it on the body and then use the ‘WL’ spell to make the statue open the box and reveal a Wizards Hat. Now exit via the platform to complete the chapter.